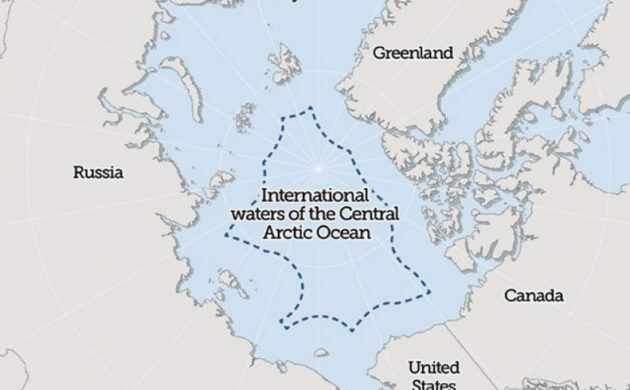 As the Arctic continues to heat up and ice caps continue to shrink, fishing in the Arctic Ocean is expected to become commercially viable in the not too distant future. To this end, a new international agreement regarding unregulated fishing in the central Arctic Ocean has been reached in Washington DC. “This agreement shows that we can agree to impose legislation before fishing has begun and before irreparable damage to the fish populations is sustained,” said the foreign minister, Anders Samuelsen. Aside from the Commonwealth of Denmark, the other parties to sign up to the deal were Russia, the US, Canada, Norway, the EU, Iceland, Japan, China and South Korea. The agreement means the parties will not fish in the area before more knowledge about the fish populations has been uncovered. As part of that, a joint scientific research and monitoring program will be established. It the first time that an agreement of this nature has been reached concerning an area of this size (roughly the size of the Mediterranean Sea).